Having had a terrific couple of days over the weekend exploring RAF Metheringham, RAF Woodhall Spa, the Petwood Hotel, RAF Digby and the Blue Bell Pub ( Read our Day One & Two Highlights Here ), for our Third and final day in Bomber County we headed to Lincolnshire’s Aviation Heritage Centre at East Kirkby. What follows is our photo highlights from this excellent day exploring this former Bomber Command base at East Kirkby, getting an incredibly unique and personal tour of the airfield and its perimeter by Martin at Silksheen Photography as well as arguably my personal highlight of the entire weekend in Lincolnshire, getting to go on-board AVRO Lancaster (NX611) Just Jane. 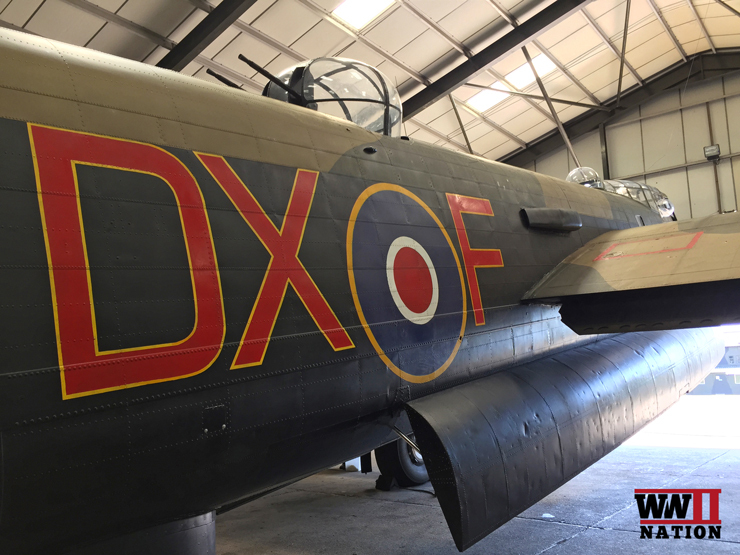 For our third and final day we headed to Lincolnshire’s Aviation Heritage Centre at East Kirkby. 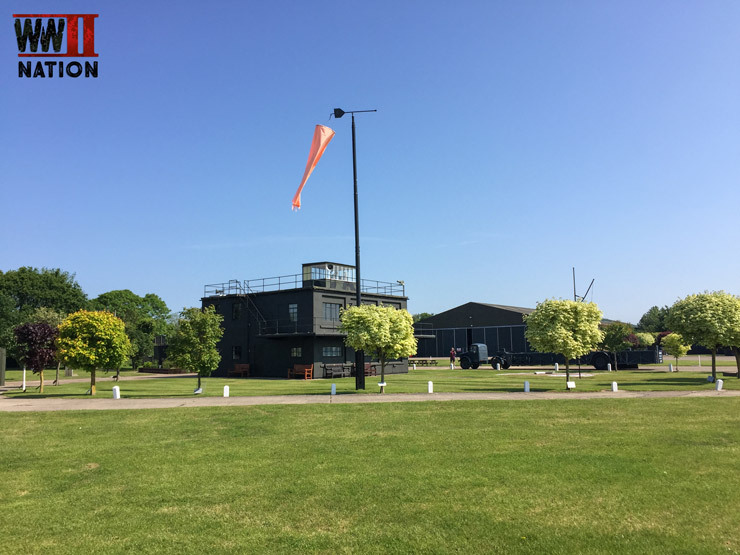 The centre was setup and operated by Fred and Harold to commemorate the memory of their elder brother Christopher Panton who was killed flying Halifaxes during the Second World War as well as remember all those aircrew who served with Bomber Command in WW2. 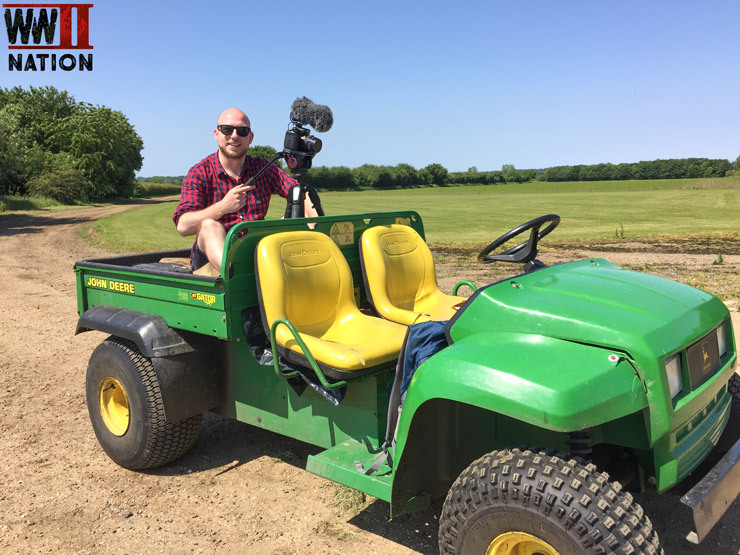 We started our day by exploring this former Bomber Command airfield (and later postwar USAAF airbase) and speaking with Jed Jaggard about the role that Bomber Command played during the Second World War and the importance of commemorating all of the 55,573 aircrew who never returned home. 25,611 of these who lost their lives whilst flying from Lincolnshire & adjacent airfields. 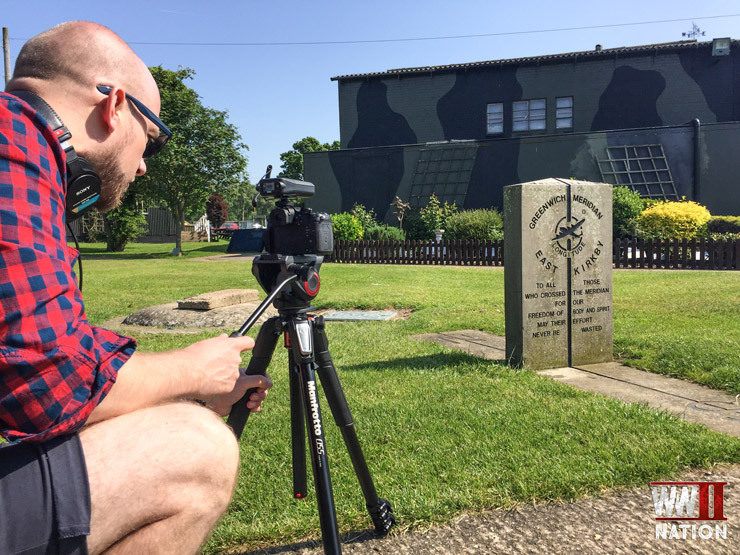 We explored the original Control Tower which you can see photographed here, the home front exhibition and memorial chapel. Interestingly in 1940 the RAF established a decoy airfield including wooden aircraft near East Kirby to fool the Luftwaffe. Then in 1942 construction work started on the real thing. 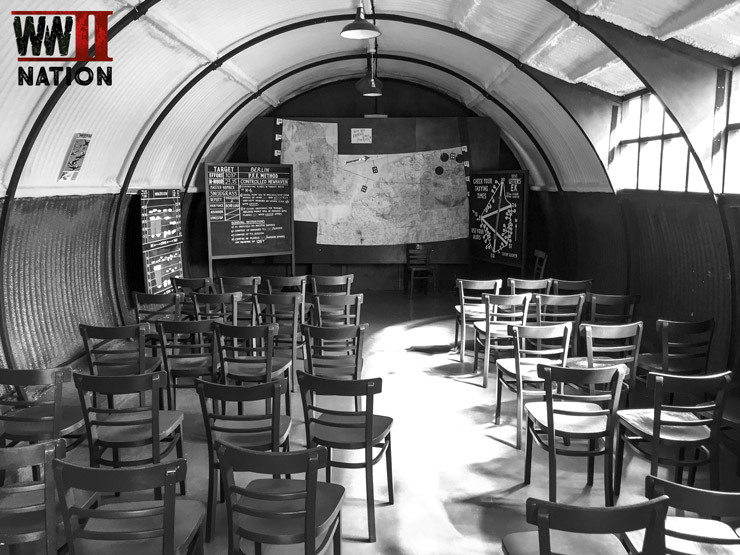 In 1943 set in over 800 acres, with 4800 yards of runway, 3 T-2 hangars, a watch-tower and more than 60 other buildings, East Kirkby officially opened and was quickly put to full use by Bomber Command’s 5 Group. 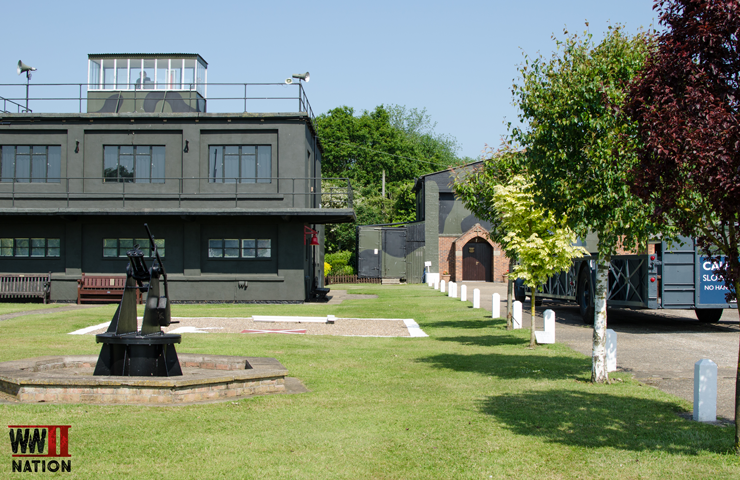 During the Second World War both 57 and 630 Squadron were based here. The memorial chapel’s roll of honour pays tribute to the 848 aircrew and ground crew who gave their lives whilst serving at East Kirkby during the Second World War with 57 and 630 Squadron. 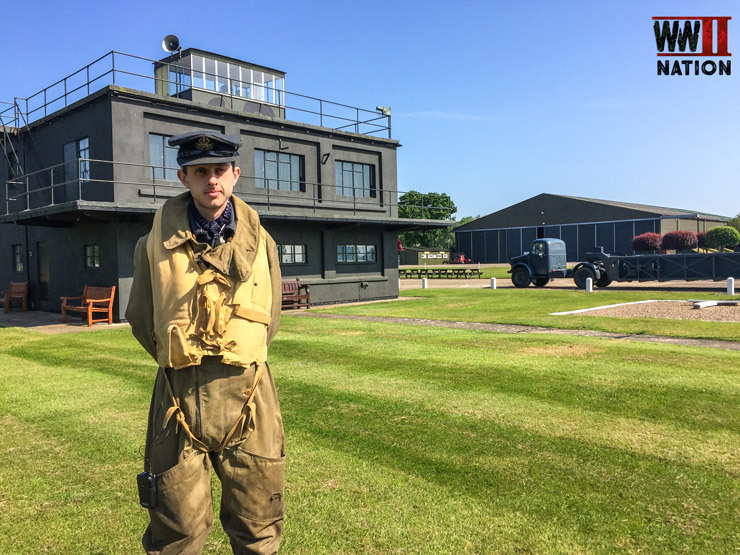 Following VE Day, East Kirkby was used to prepare units for operations with Tiger Force in the Far East in the war against Japan. 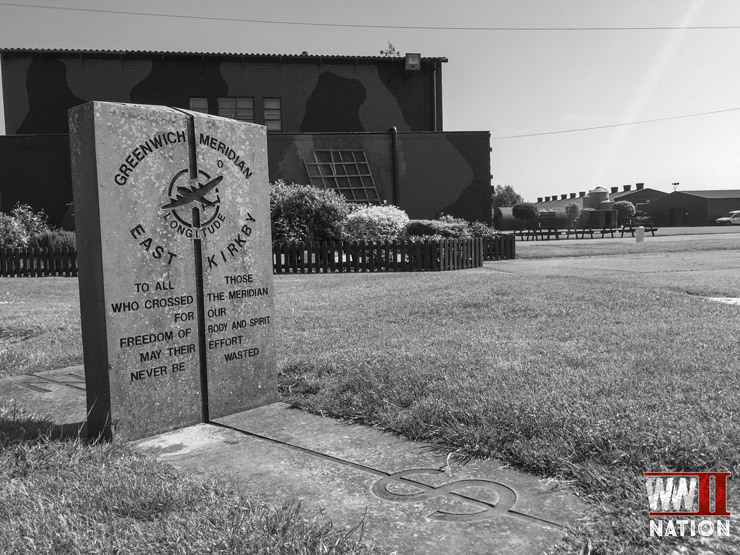 Post Second World War the airfield was then utilised by the USAAF, before eventually closing down entirely as an operational airbase in 1958. 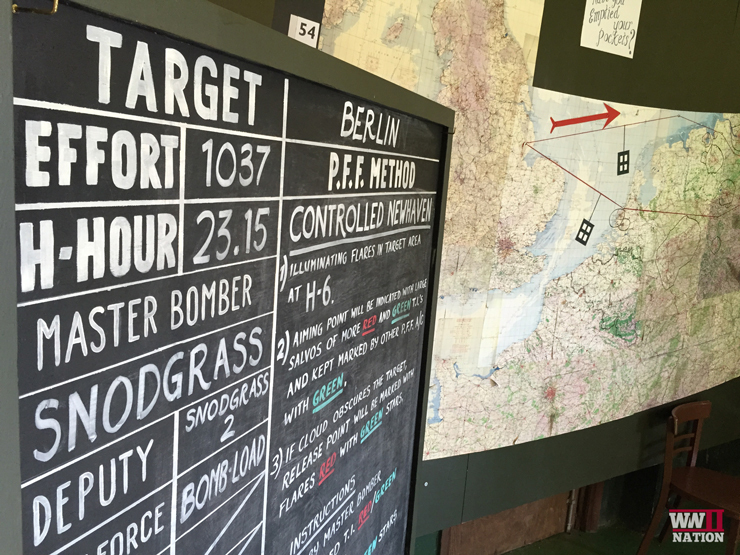 Having spent much of the morning exploring the control tower, home front exhibition, memorial chapel and surrounding buildings we sat down for a quick cup of tea and cake. 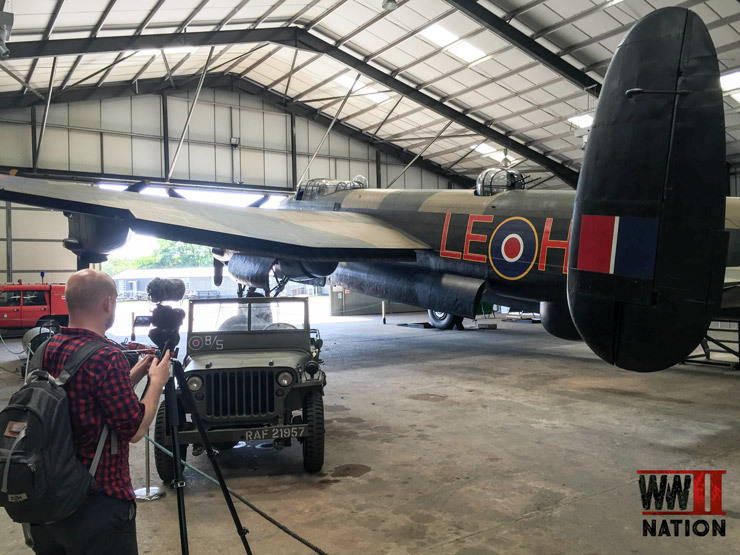 Refreshed we ventured over to the main T-2 Hangar where hidden in its midst is a very special resident and arguably the thing we had been looking forward to seeing the most all weekend, WW2 aircraft AVRO Lancaster Just Jane (NX611). 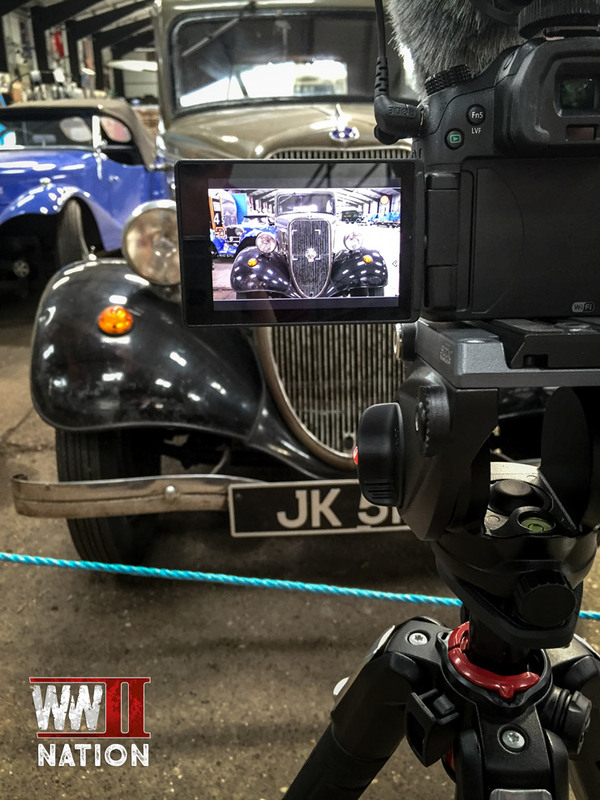 Just Jane was built by Austin Motors at Longbridge near Birmingham in April 1945. Given the Serial No. NX 611. 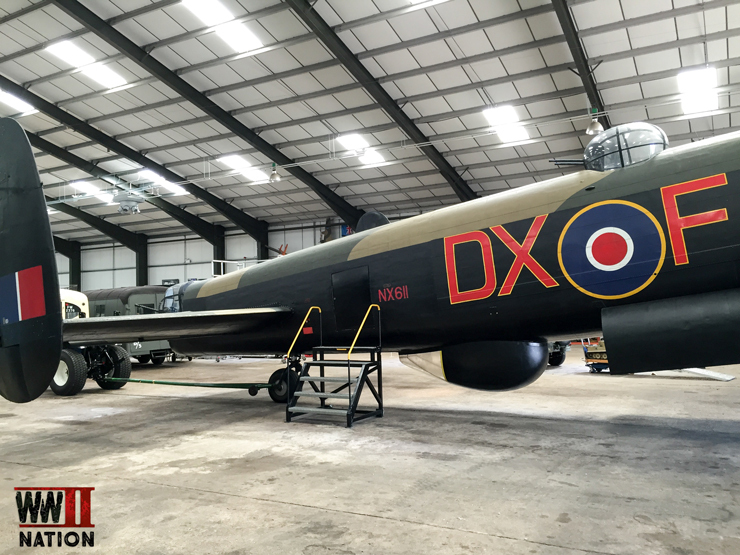 NX611 was one of the 1st 150 B Mk VII AVRO Lancasters originally destined to be heading to the Far East as part of Tiger Force with the RAF, but with the war with Japan coming to an abrupt end, NX611 was put into storage. In April 1952 it was purchased by the French and used in a maritime patrol role by the French Naval Air Arm. 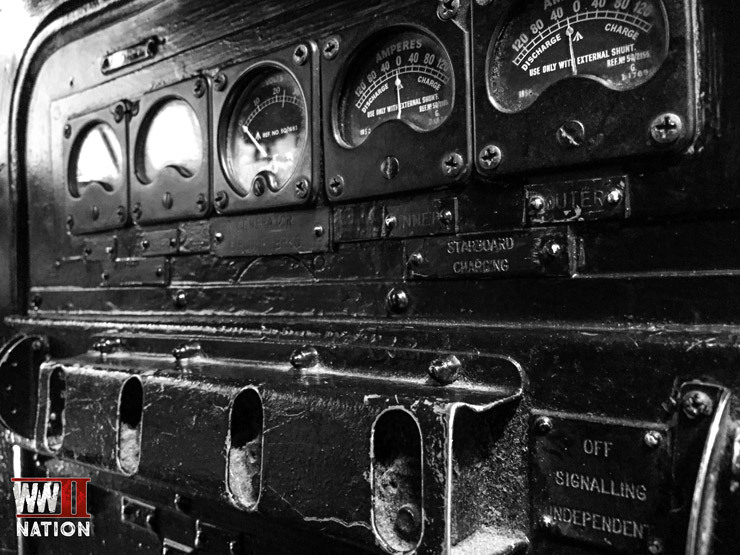 In 1962 it was transferred, repainted and used for air-sea rescue and cartography purposes. Interestingly in 1965 it arrived back in the UK at Biggin Hill, having flown all the way from Sydney. 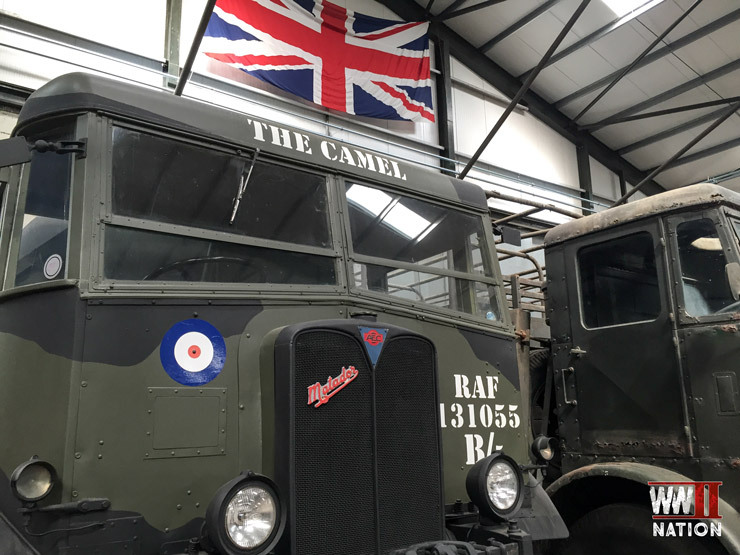 It was bought in 1972 by Lord Lilford and stood as gate guardian at RAF Scampton for many years before it was eventually purchased in September 1983 by Fred and Harold Panton. 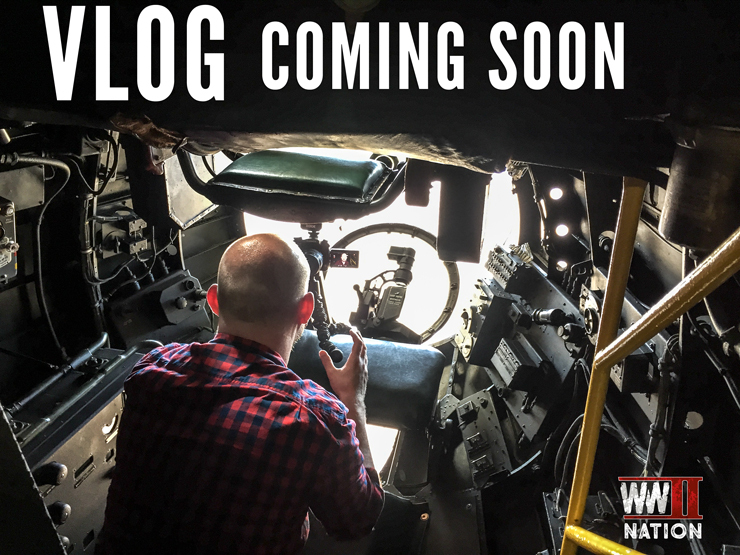 Getting a closer look at the AVRO Lancaster’s impressive bomb bay which was capable of carrying up to 18,000 lbs of bombs or the 1 special 22,000 lbs Grand Slam. 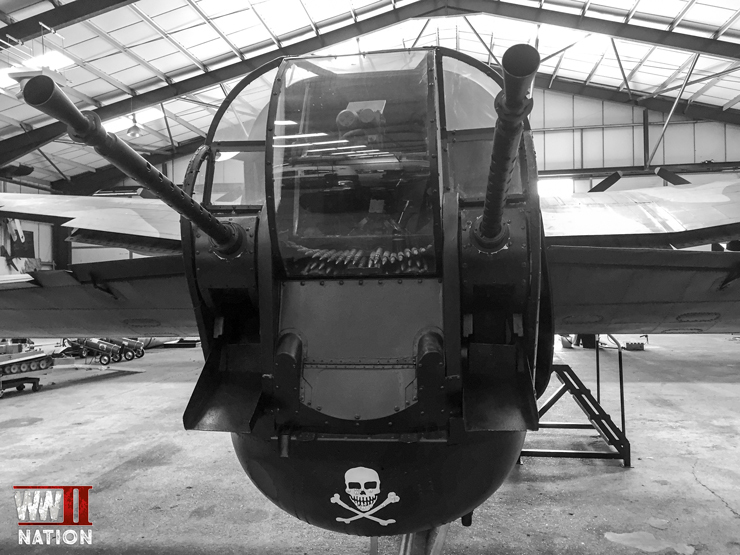 Towards the end of the war the aircrafts were fitted with the automatic gun-laying turrets in the rear position which incorporated a small radar set for automated aiming and was fitted with twin 0.5 Brownings. I quickly discovered that the turret is incredibly tight and isolated. Scarily, I also learned that if you have your guns at 90 degrees it completely exposes your back to the open sky, Jed told me about a rear gunner from Bomber Command who fell from his Lancaster on operations over Germany without his parachute and remarkably survived to tell the tales, I have since gone on to research this remarkable story. 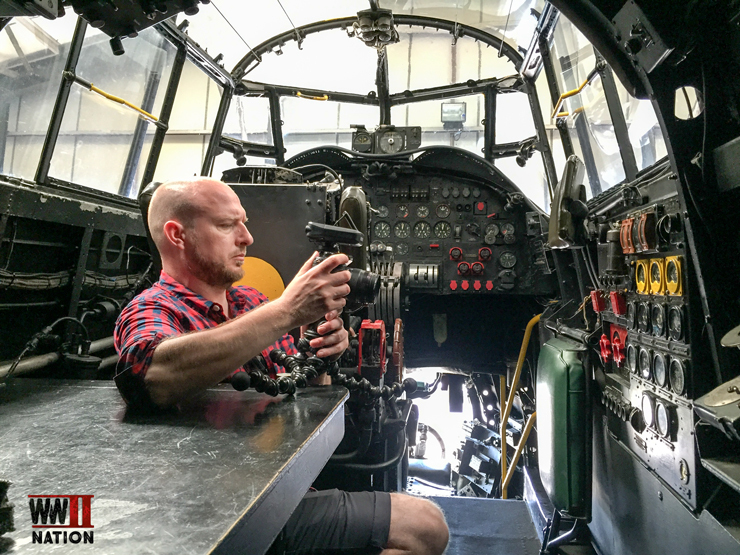 We were incredibly fortunate as Andrew offered to take us on-board Just Jane to explore the tight confines of this remarkable aircraft and get at least the tiniest of glimpses into what the crews had to deal with. Weighing 16 tonnes, having a length of 69 feet and wing span of 102 feet, given the shear size of this aircraft it is remarkable at just how tight the confines inside are for the crew. 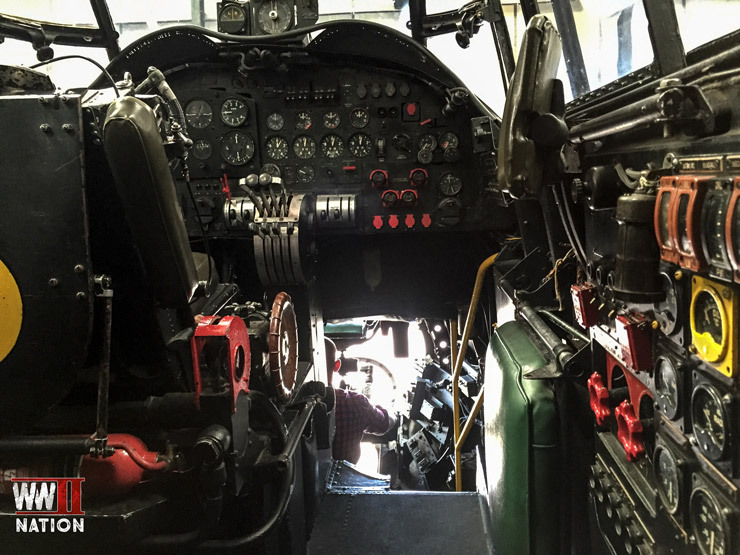 The Lancaster had a standard crew size of 7 airmen and on occasions for special missions 8. As you can imagine it was a real-struggle for me manoeuvring from one end of the aircraft to the other, but I did eventually manage to make it from the rear turret to the cockpit. 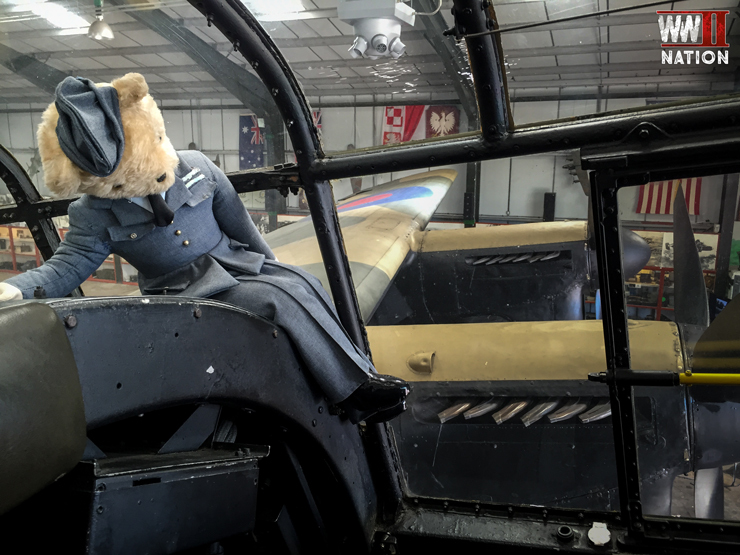 Many aircrews had a lucky charm that they took with them on operations to help provide reassurance, seen here I discovered Just Jane’s mascot sitting in the cockpit looking after the aircraft. Incredibly tight to manoeuvre our way around, I would hate to have to try and get out of this aircraft in any emergency. 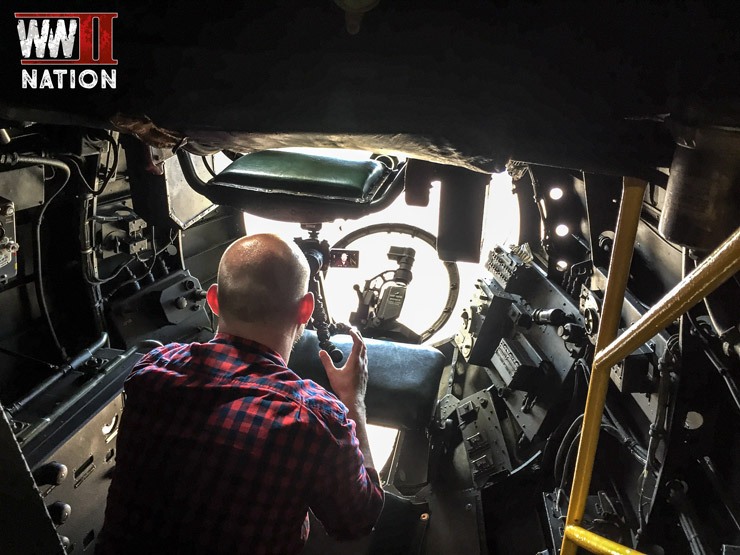 The bomb aiming position arguably provides you with the clearest view in the house during operations is also incredibly difficult to move around in, during the flight over the bomb aimer was meant to man the front gun position (which can be seen in the next picture above Ross’s head) then when the aircraft approached the target, drop down onto his belly to guide the aircraft in. 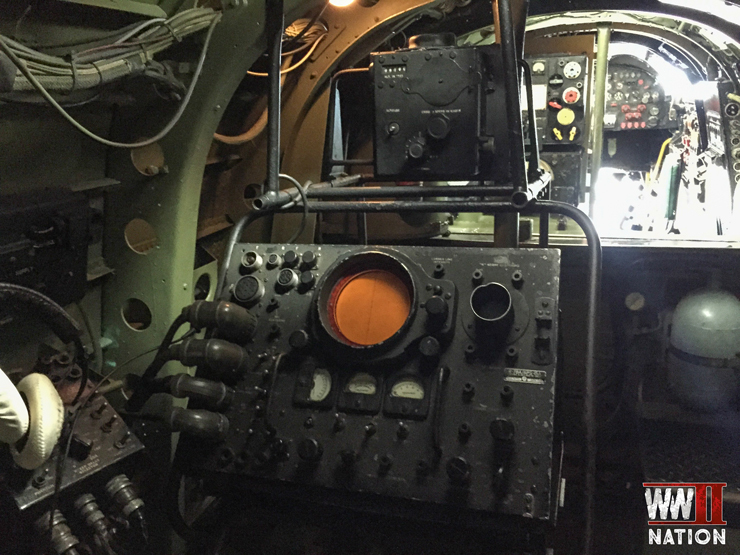 In later versions of the aircraft he even had some control over the aircraft’s flight to help manoeuvre it into the correct position over the target before releasing the Lancaster’s payload. 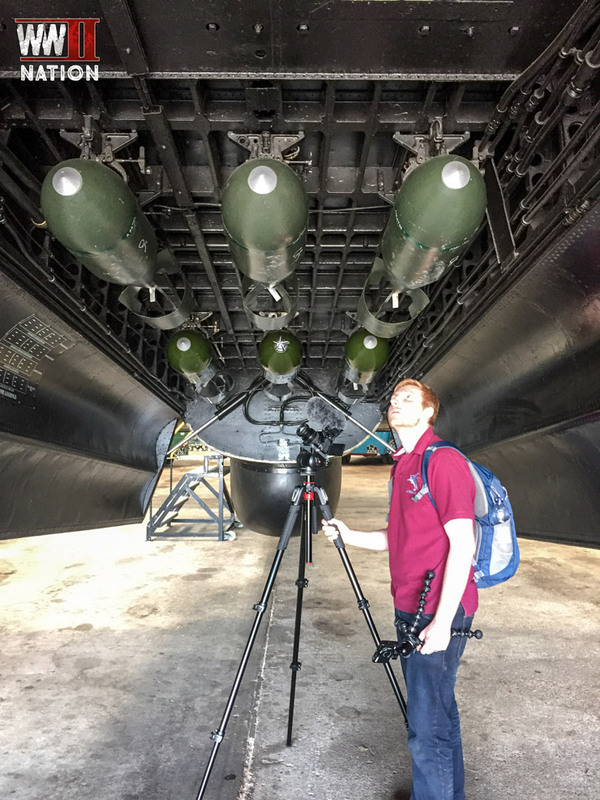 Ross filming inside the bomb aiming position of Lancaster, Just Jane. 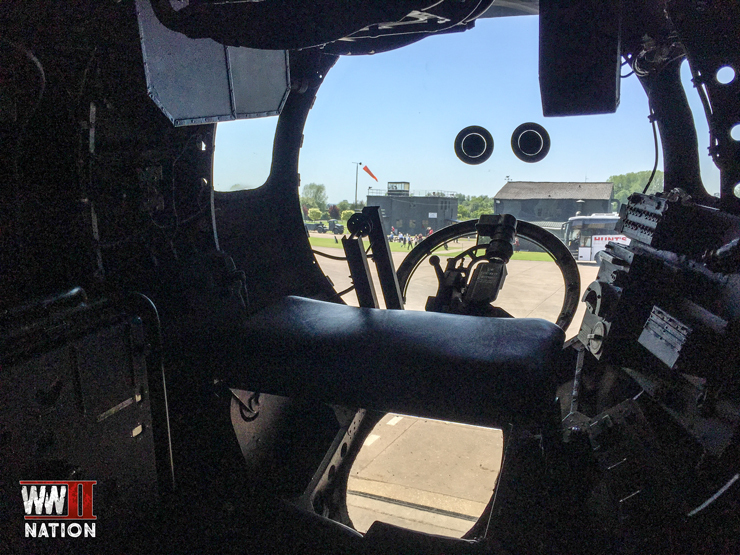 Having heard George Johnny Johnson talking at the CVHF about his experiences on the Dam Buster’s raid on the night of 16-17 May 1943, it is fascinating to think what must have been going through his mind whilst sitting alone in this position on that fateful night of the operation. 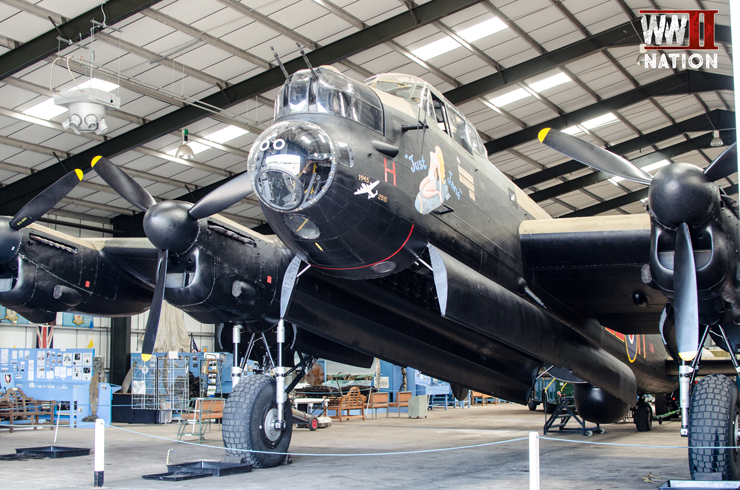 At least 59 Bomber Command Squadrons operated Lancasters during the Second World War which flew more than 156,000 sorties. 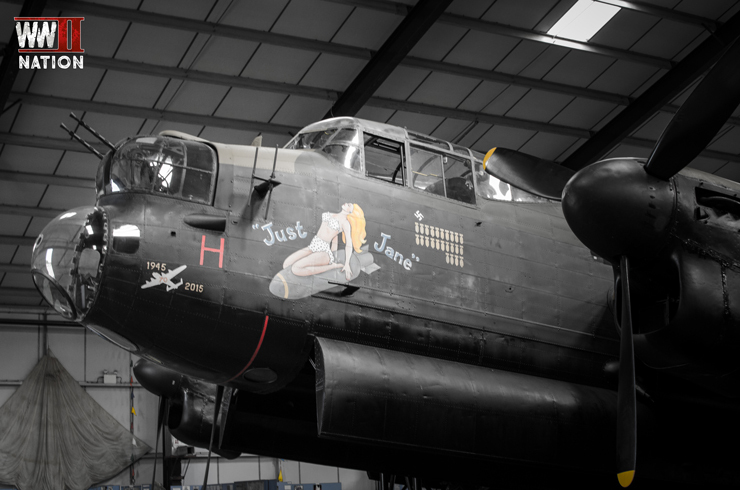 In 1987 after completing her 10 year gate guarding duty, Just Jane arrived at East Kirkby. 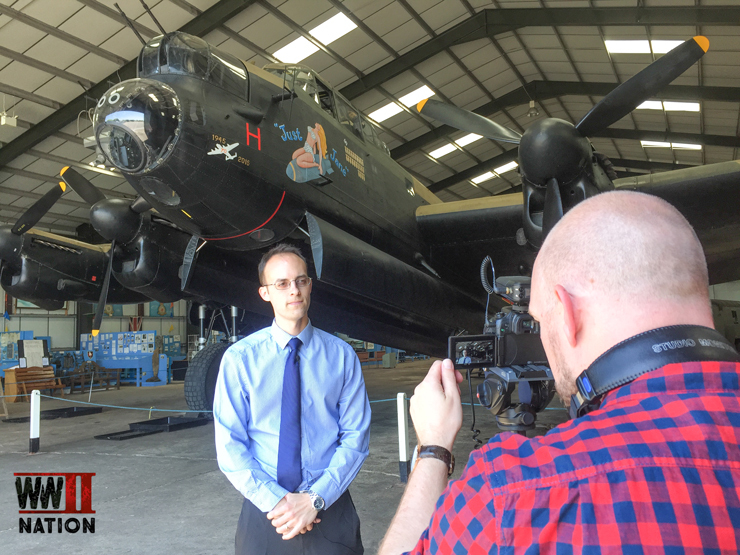 We spoke with Andrew Panton to find out about his plans and aims to get NX611 airborne again. 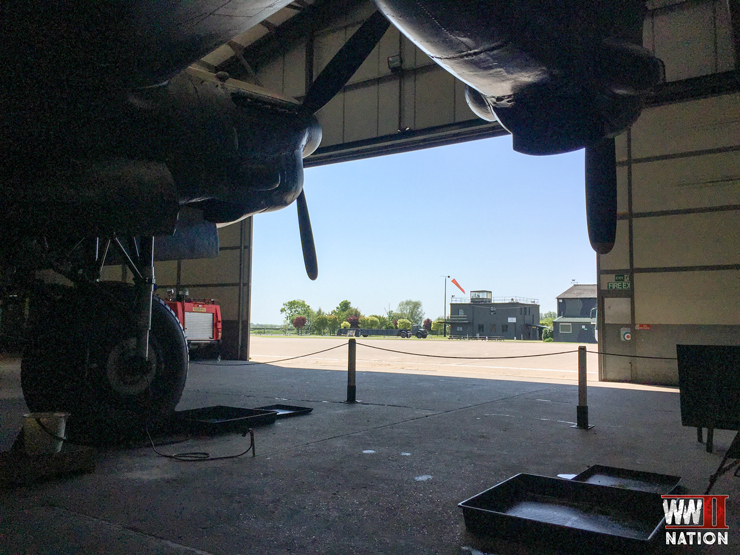 So far the team at East Kirkby have done the engine work required to bring them up to fully operational taxiing standard which has taken over 700 man hours and at a cost of £7000 per Merlin engine. Having finished our interview with Andrew, Martin kindly offered to give us a very unique guided tour onboard this, looking at the former perimeter, runways, USAAF storage areas and buildings located elsewhere on the airfield of East Kirkby, as well as hear about some amazing future plans that the team have for the Lincolnshire Aviation Heritage Centre. 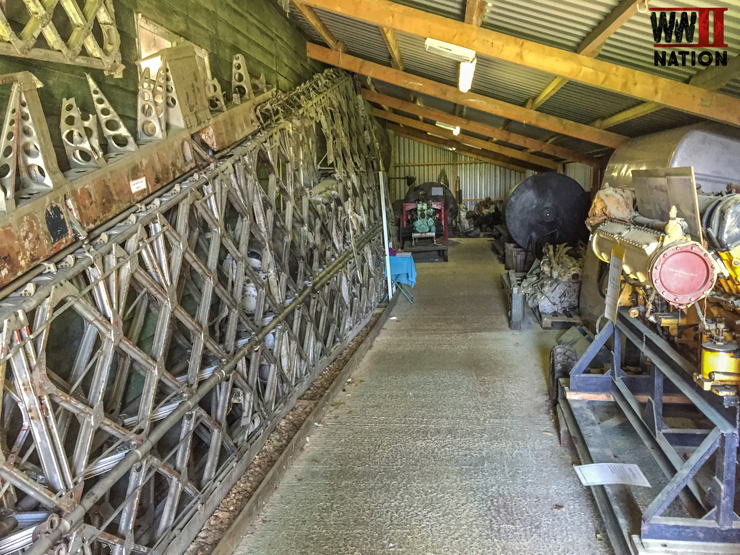 Having finished our tour we had a look around the rest of the amazing exhibits on display here at East Kirkby, such as the restoration area, this includes the remains of Vickers Wellington 1A L7775. Serving with 20 OTU of 9 Group, on 23rd October 1940 at 9pm this aircraft crashed into a hillside in Scotland. The wing side panel can be seen here. 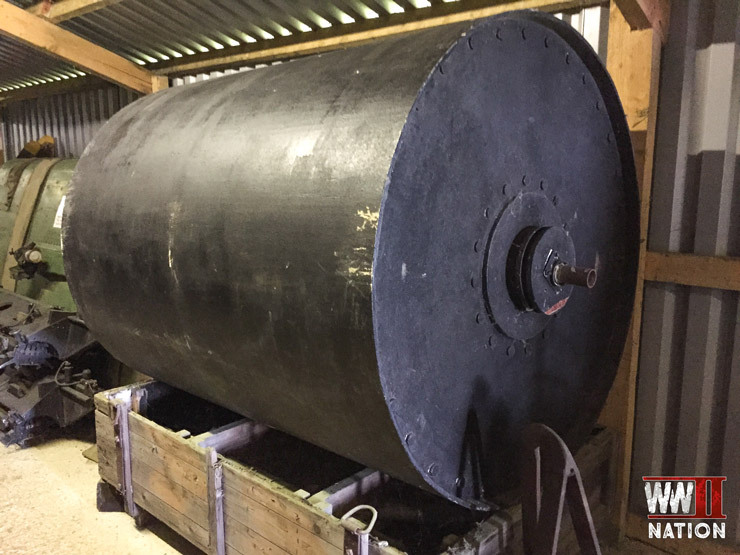 Also on display is a Barnes Wallis bouncing bomb. An original Fordson WOTI Fire Tender, one of only 3 left in existence and interestingly was also used in the film the Memphis Belle. 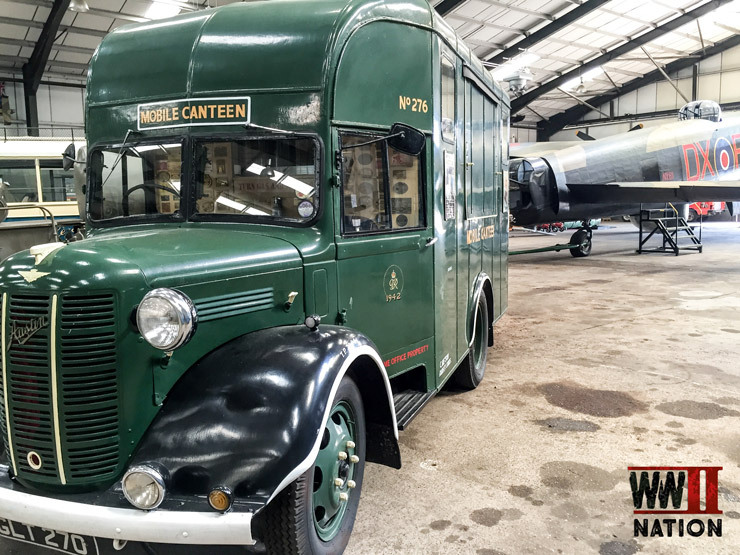 A Fordson WOTI Crew Bus is extremely rare and was used to take crews to and from their aircraft on the station when it could be located a few miles away from their quarters which would have been very difficult to walk in their heavy flying kit. 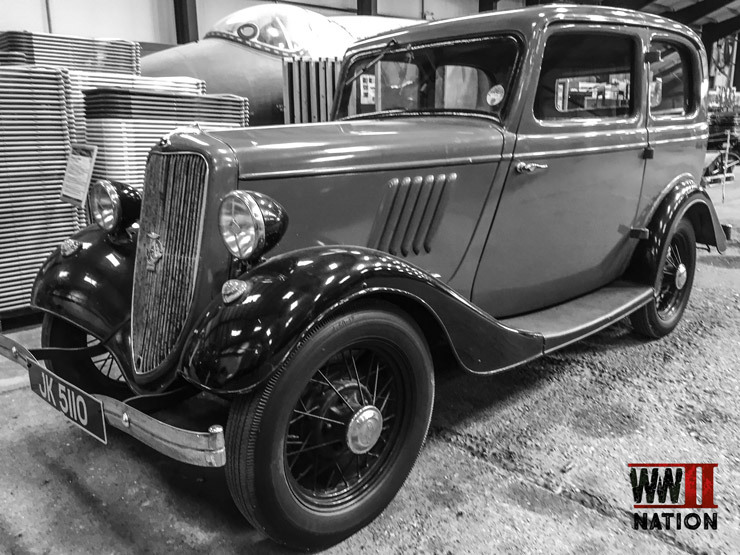 A 1935 Ford 8 Model Y saloon car which frequently would have been seen around many RAF stations during the Second World War. Interestingly it was Ford and Britain’s only saloon car to ever sell ex-works for a retail of £100.00. 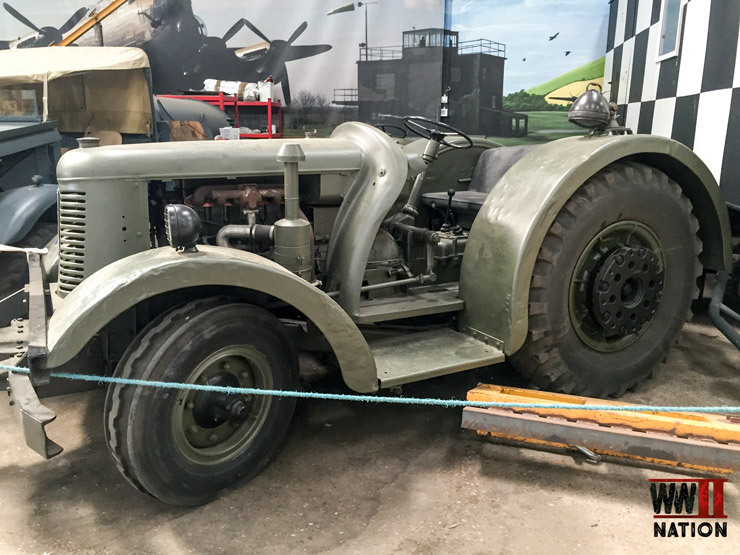 A David Brown Tractor which would have frequently been seen on airfields during the Second World War towing aircraft and bomb trolleys. 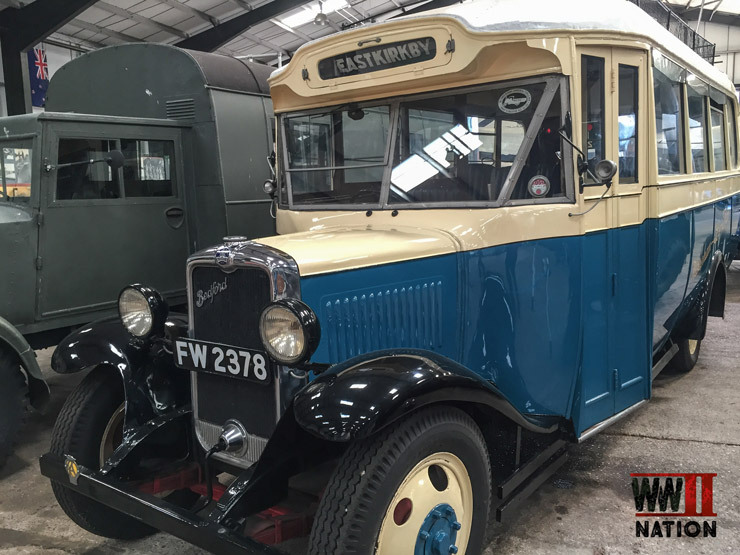 This Bedford WLG Coach 1931 was used during WW2 by airmen based around here to travel around the local area. 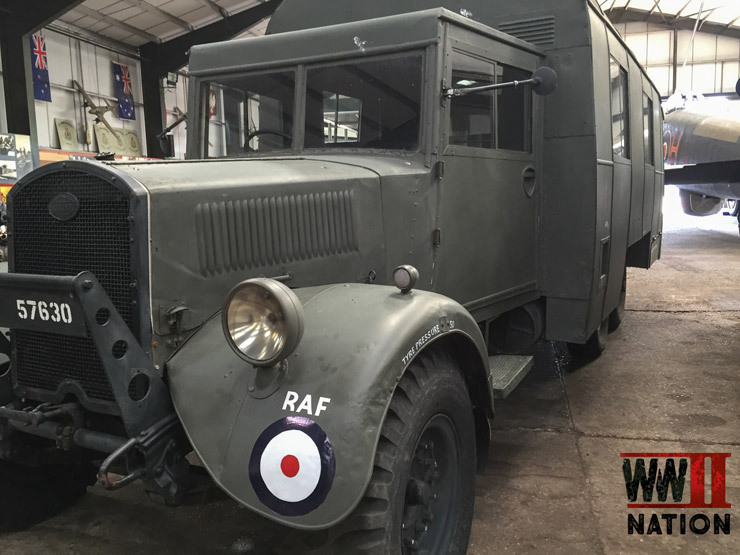 Frequently seen on Bomber Command Airfields during the war and obviously a welcome sight for many of the airmen and ground-crews, the Austin K2 NAAFI Wagon. This is one of only 5 left in existence. 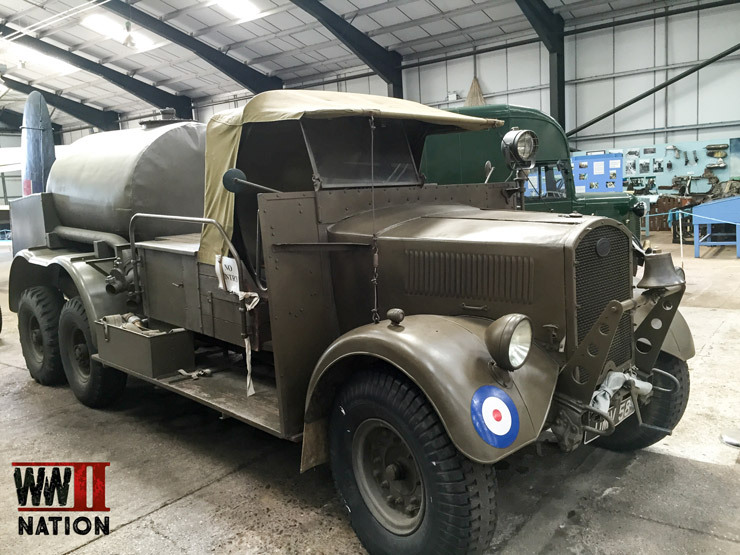 An AEC 0854 Tanker – this 2000-gallon tanker is the type that was in widespread use on bomber airfields during the war. 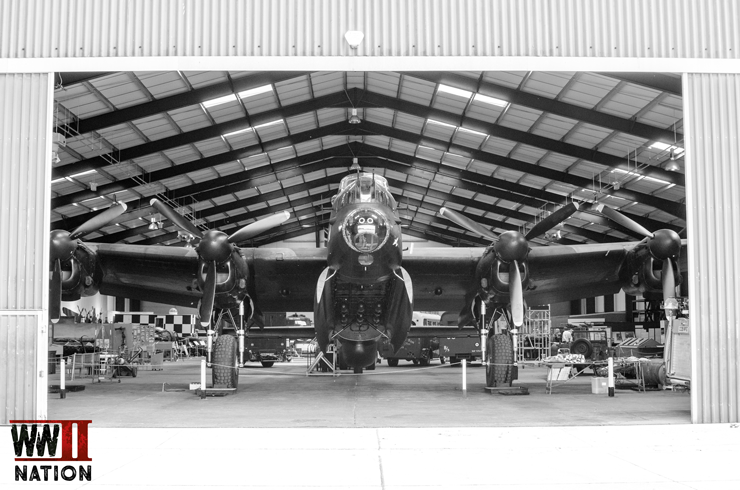 It took one of these tankers to fill up just one single Lancaster. 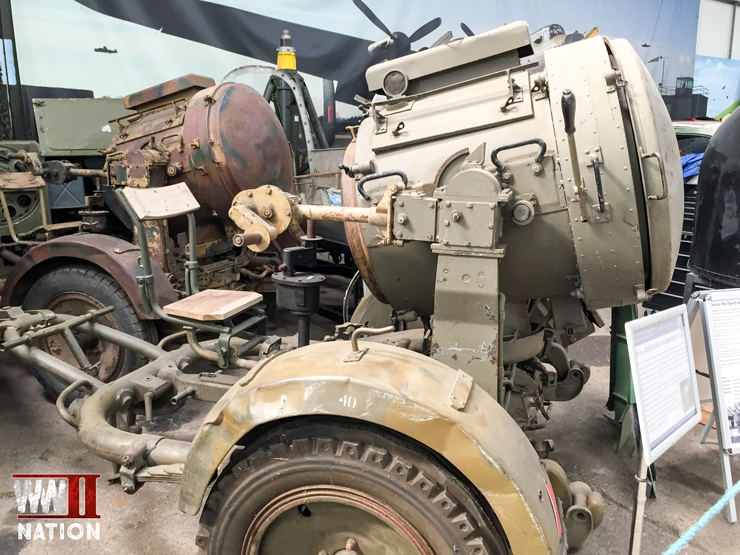 A 60 cm searchlight and generator that was developed in Germany in the 1930s. With a power of 135 million candles it needed a crew of 3 and was used as part of Germany’s air defence network early in the war until it could no longer reach the bomber stream altitude no longer. 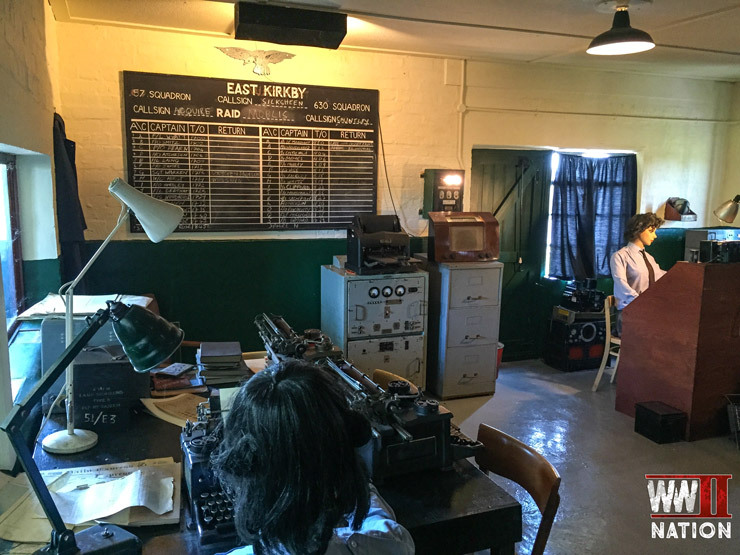 Finishing our day we headed to briefing room at East Kirkby which has been carefully reconstructed to represent a briefing for a raid on Berlin. 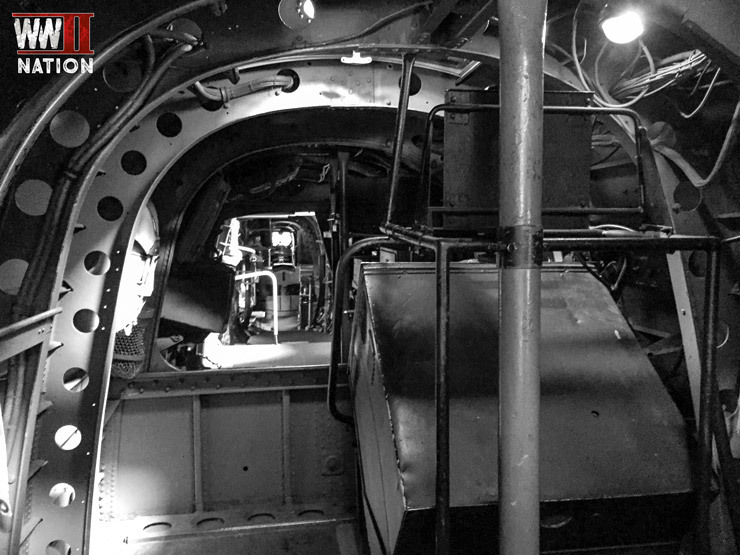 You can only imagine the atmosphere and reaction by the crews must have been when the curtain was pulled back to reveal that night’s target was Berlin, arguably one of the most well defended locations in the Third Reich. It took a full 25 minutes to run the gauntlet of the Berlin defences from end to end. 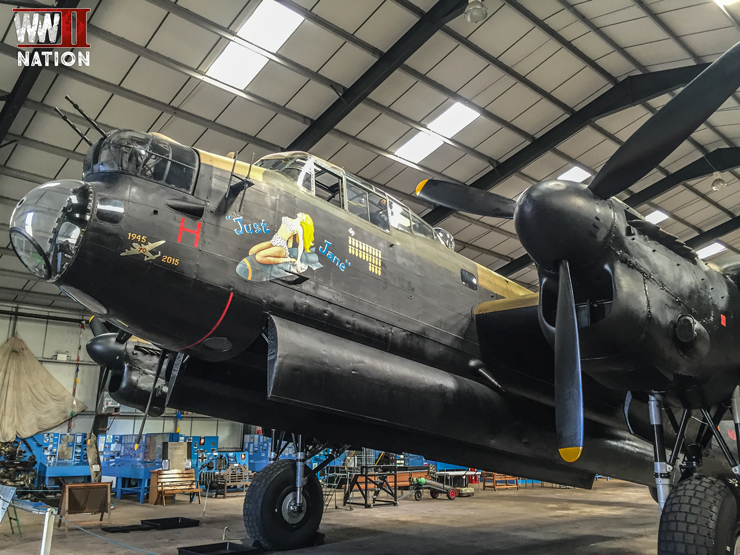 The AVRO Lancaster is arguably one of the most iconic and well known British aircraft produced during the Second World War and hopefully one day soon Andrew and the team at East Kirkby manage to get Just Jane airborne again. 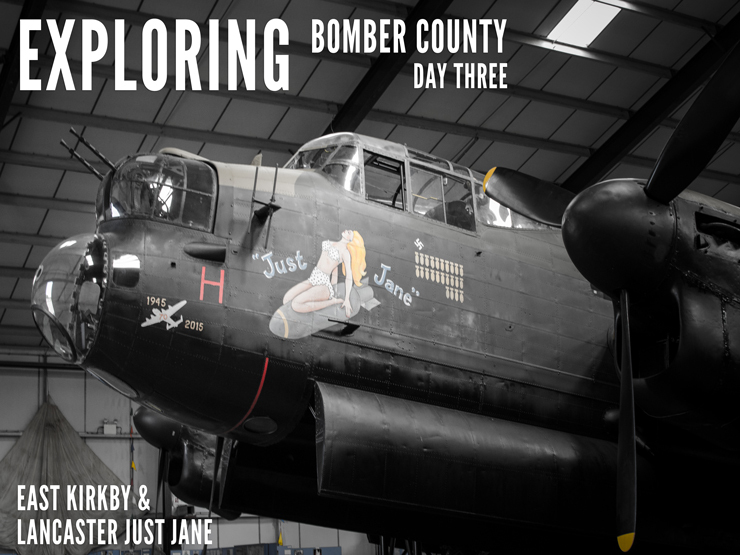 A massive thank you to Andrew, Martin and the rest of the team at East Kirkby, it was an incredible day out and certainly the highlight for me of our 3 day trip exploring Bomber County. 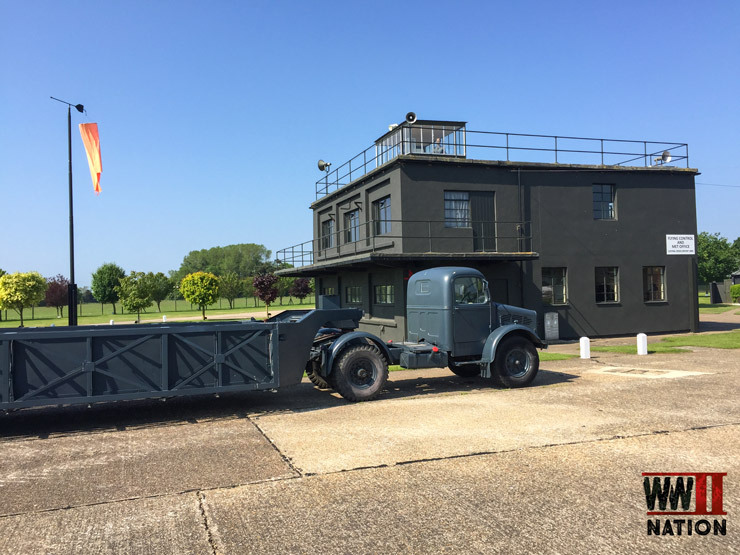 I highly recommend a visit to this remarkable airfield. 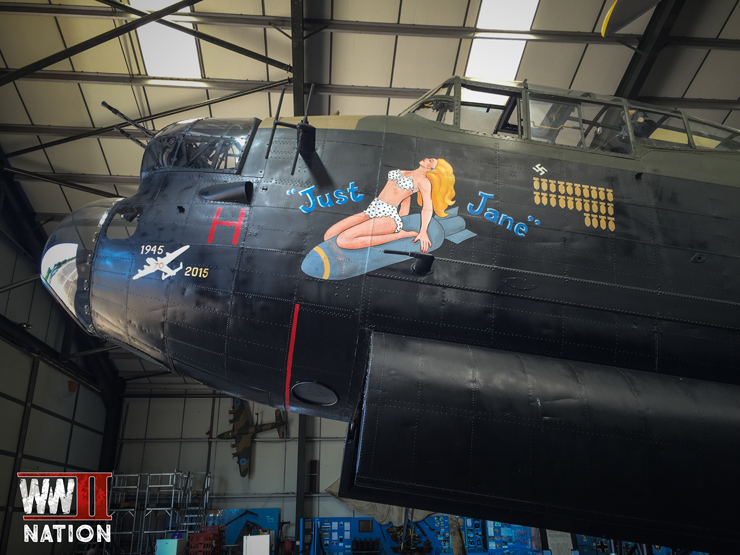 Fingers crossed that the progress of Just Jane’s restoration work to get her airworthy continues and one day we get to see this incredible aircraft once again gracing our skies. Anyone interested in exploring Lincolnshire and wanting to learn more about the county’s rich aviation history and connection with Bomber Command during WW2, I highly recommend Patrick Otter’s book on ‘Lincolnshire Airfields in the Second World War.’ This was a fascinating read and incredibly useful for planning and researching our trips. The Vlog from this 3-day trip, including our interview with Andrew about Just Jane will be coming out during October, until then though, why not enjoy our last Vlog from Lincolnshire where we returned to explore a section in the woods of the ( now abandoned & dilapidated ) former No.1 Communal site of RAF Woodall Spa, the International Bomber Command Centre and Petwood Hotel.